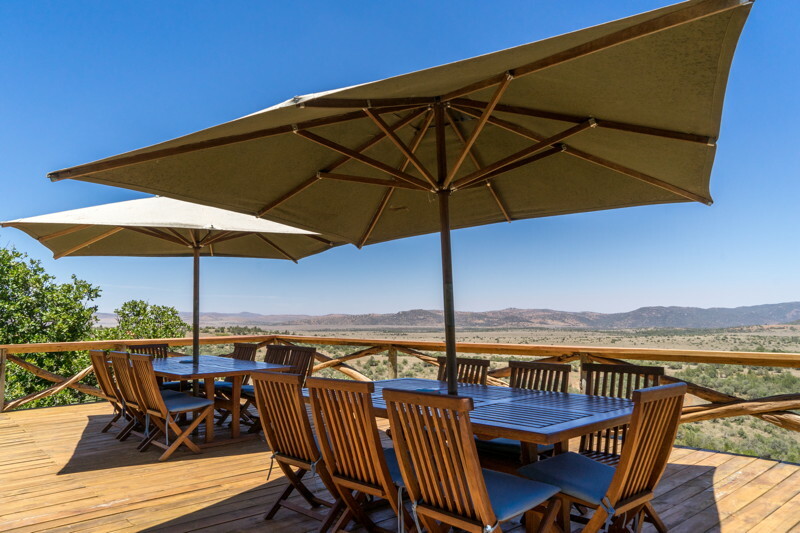 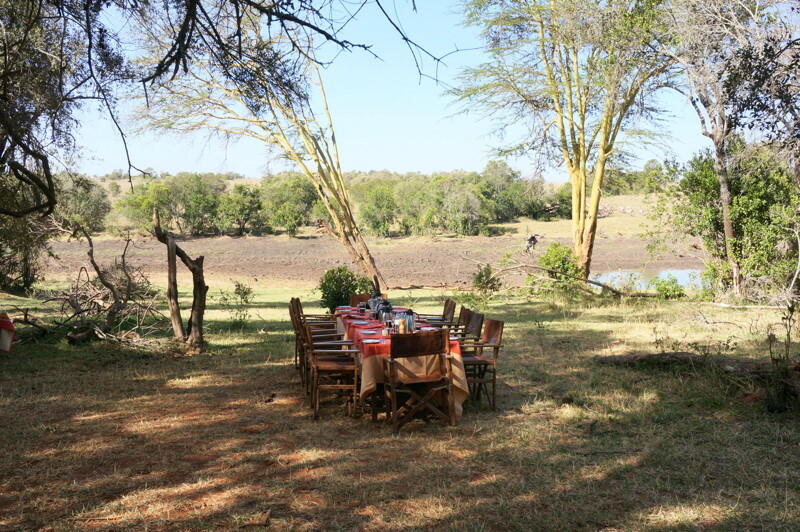 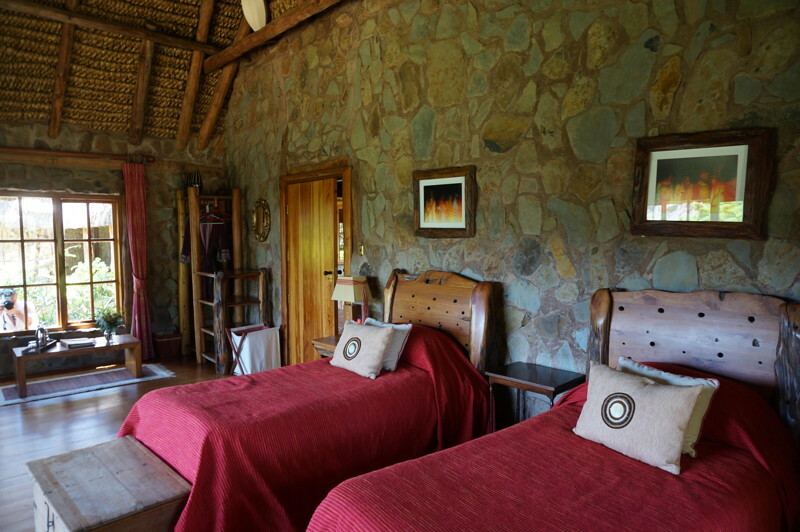 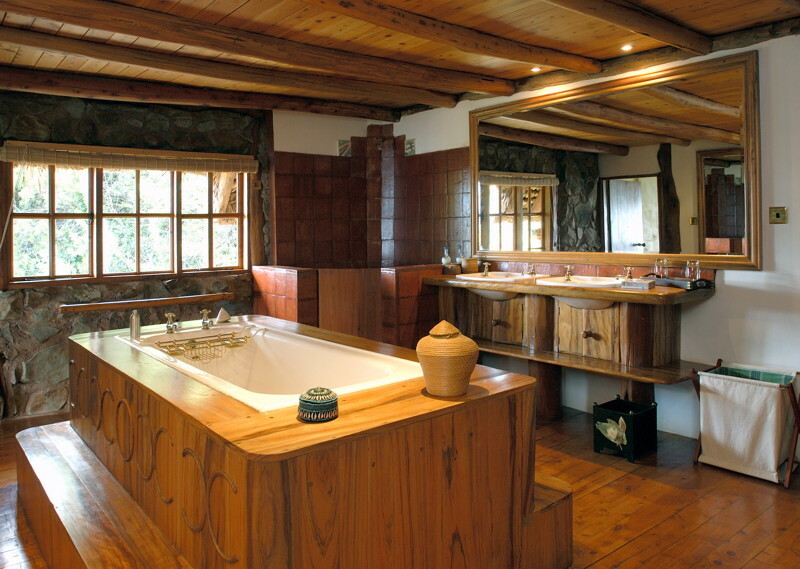 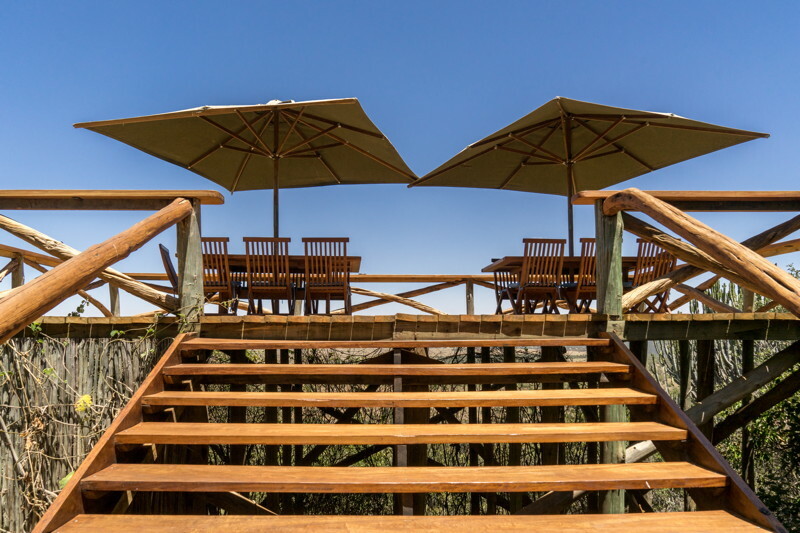 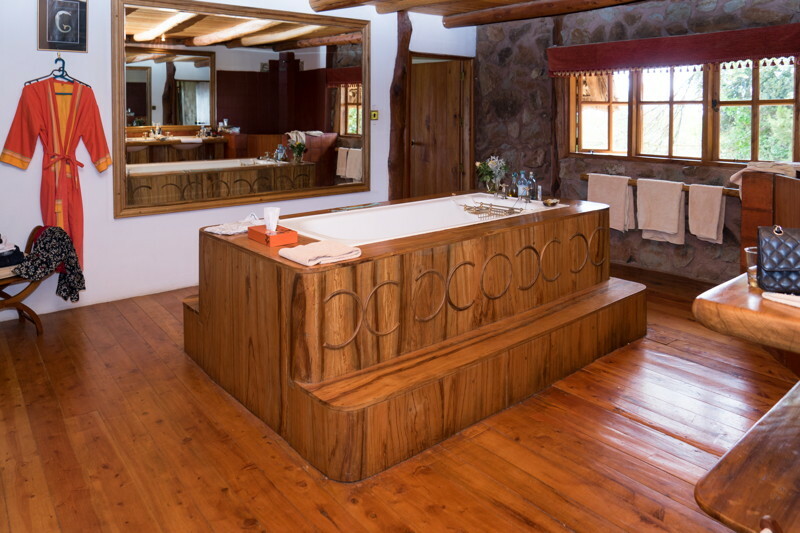 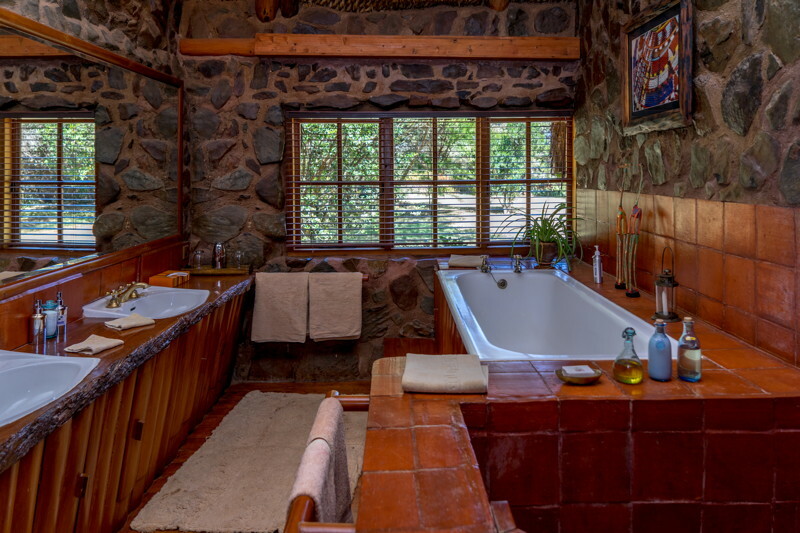 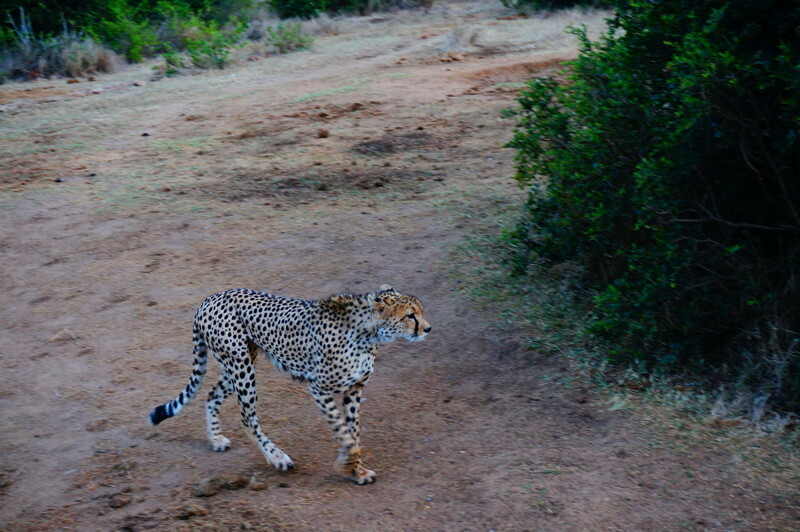 Sitting on the edge of a plateau, eight kilometres from the main lodge, this eight-bedroom exclusive house offers the ultimate in privacy and luxury. 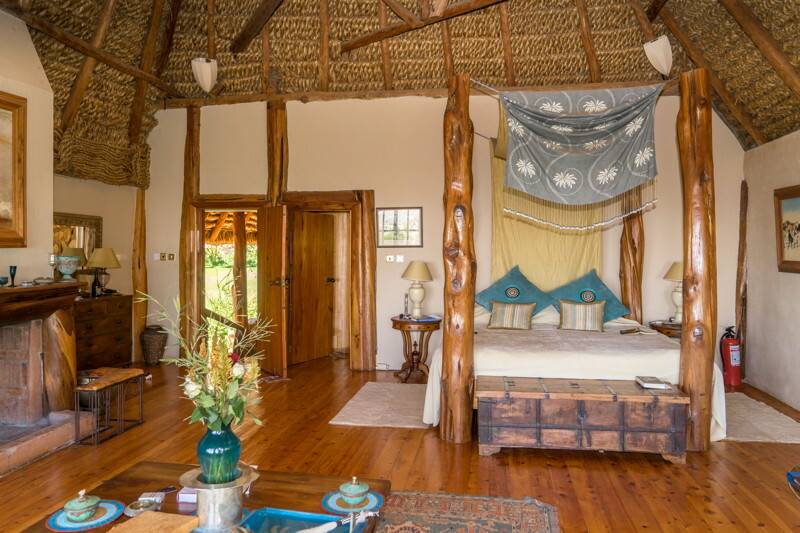 The house also features a fabulous new gym equipped with cardio-machines, weights and yoga equipment for fitness addicts and yoga enthusiasts alike. 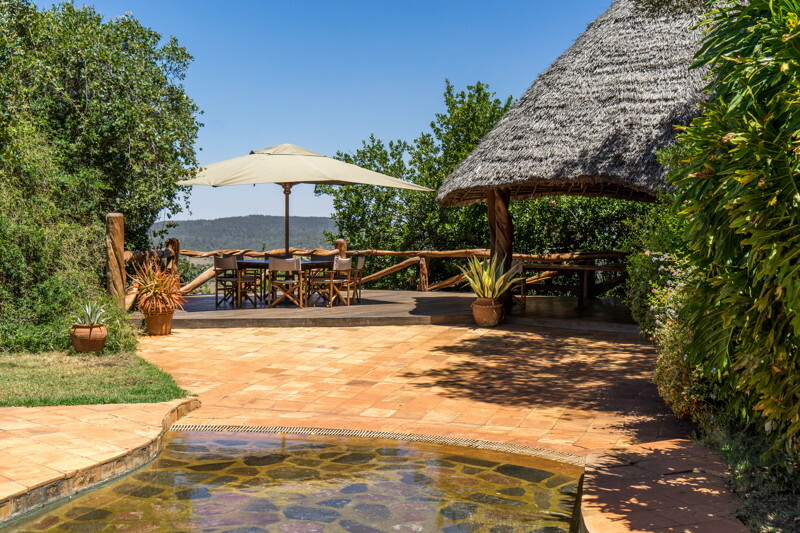 Guests are sure to enjoy magnificent views from the seclusion of this light and breezy area. 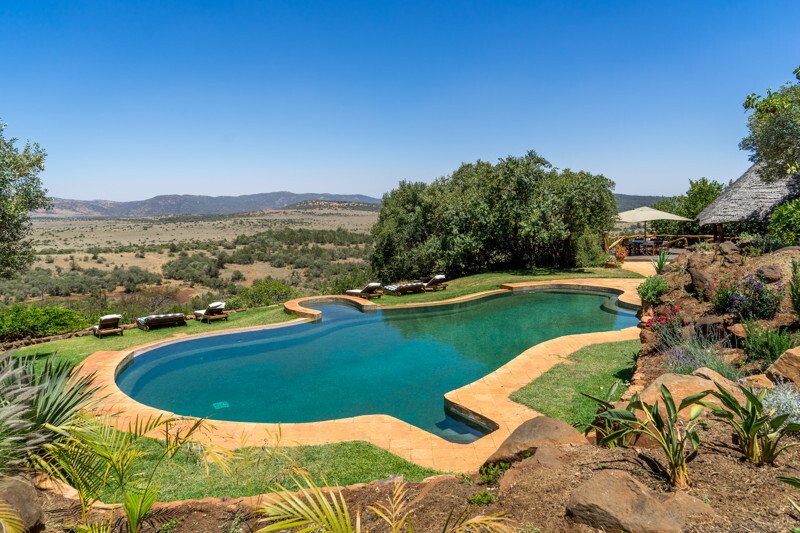 Originally built as a country retreat by Lords Valentine and Michael Cecil, The property offers unparalleled seclusion and comfort in a breath-taking setting. 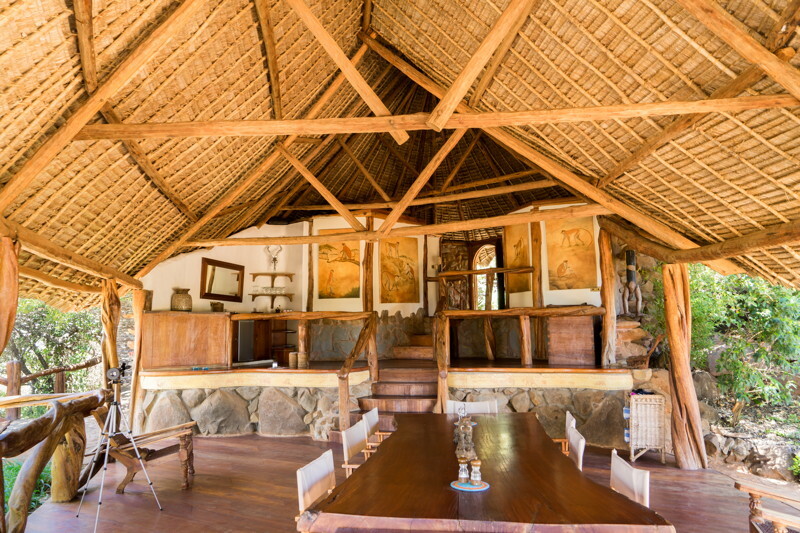 It is a unique house in both style and situation. 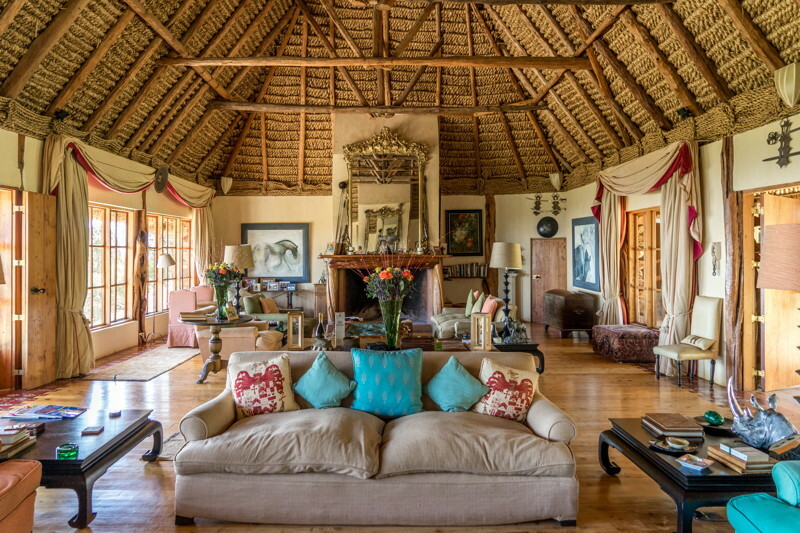 The interior of the house features the best in local furniture with luxurious carpets from Rajasthan and fabrics from London. 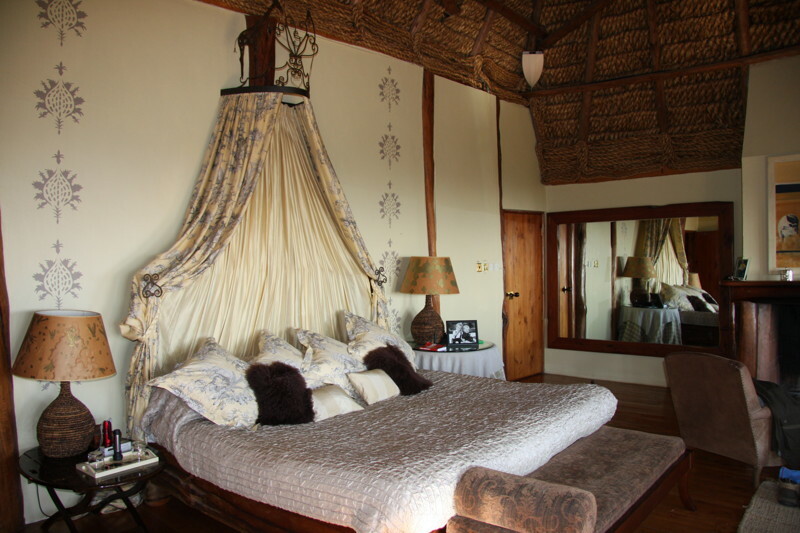 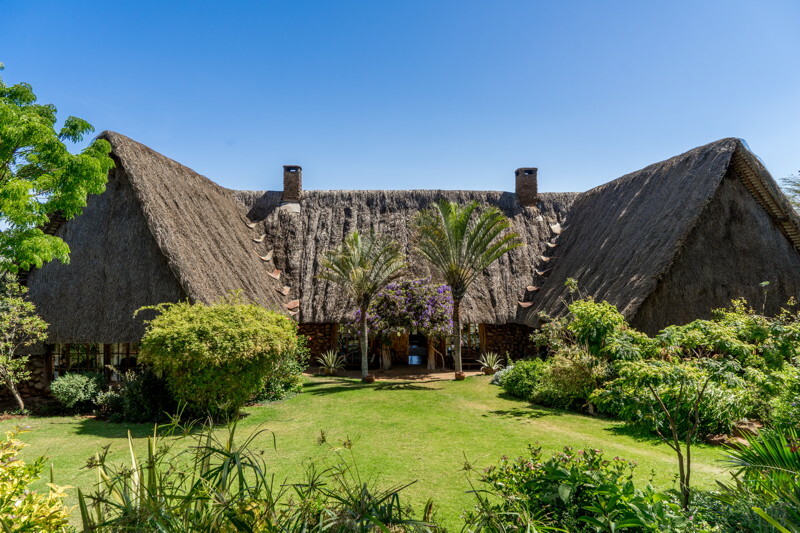 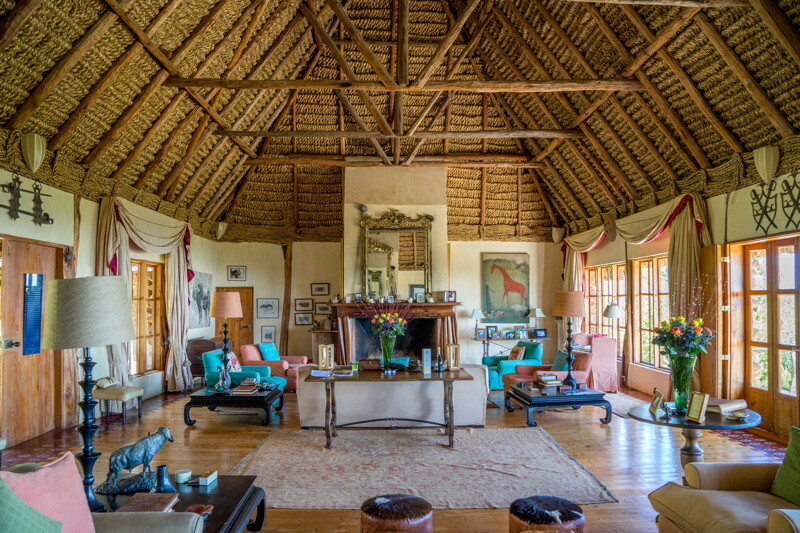 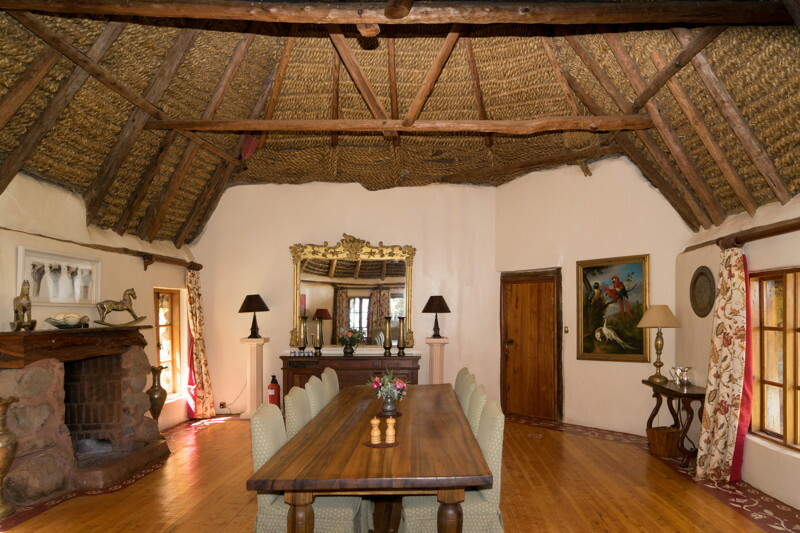 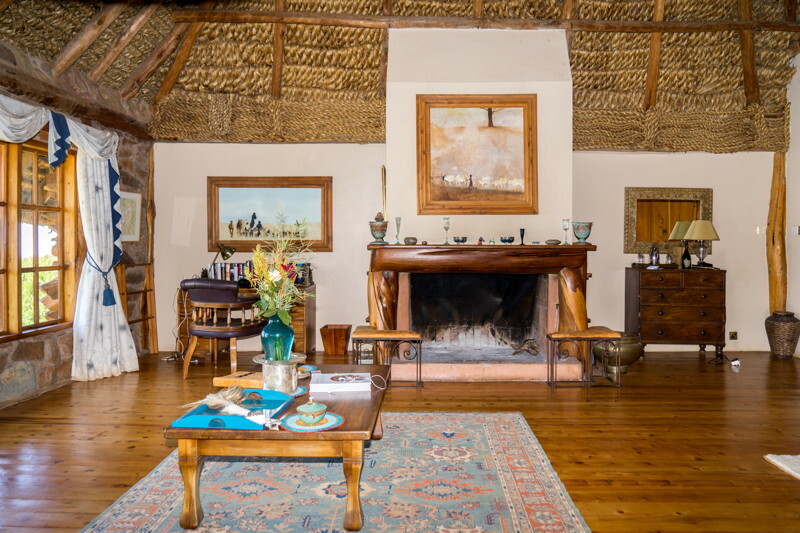 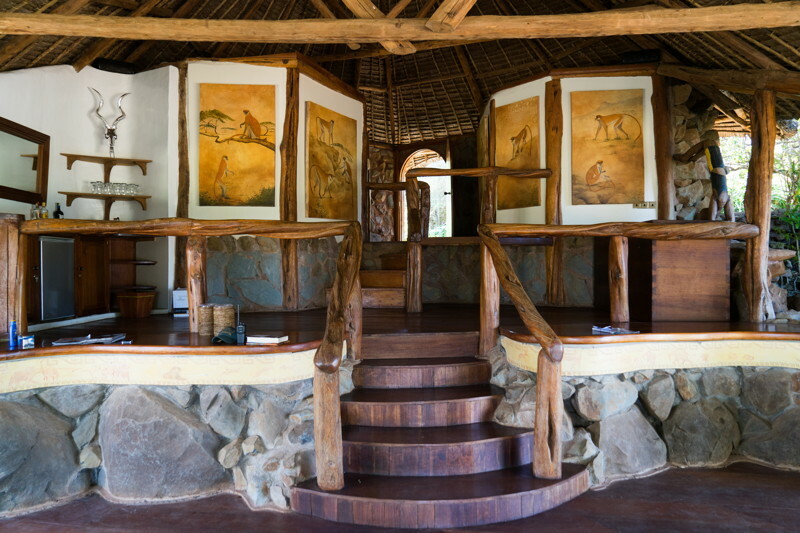 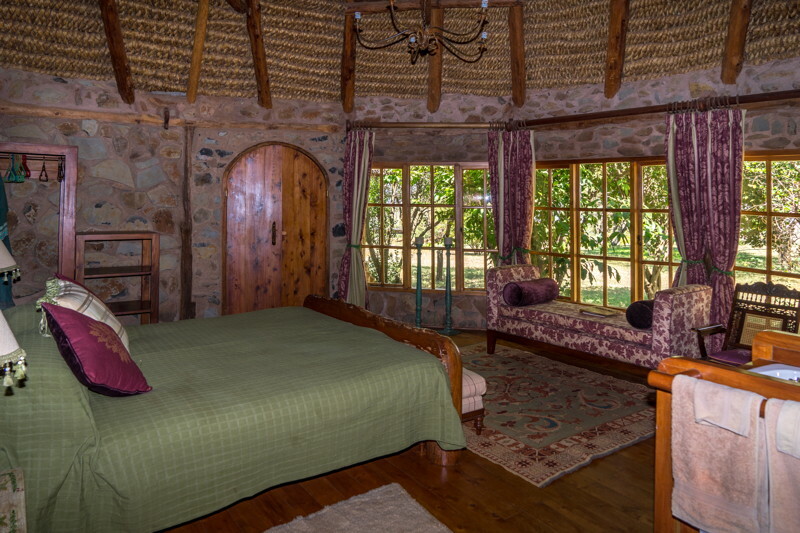 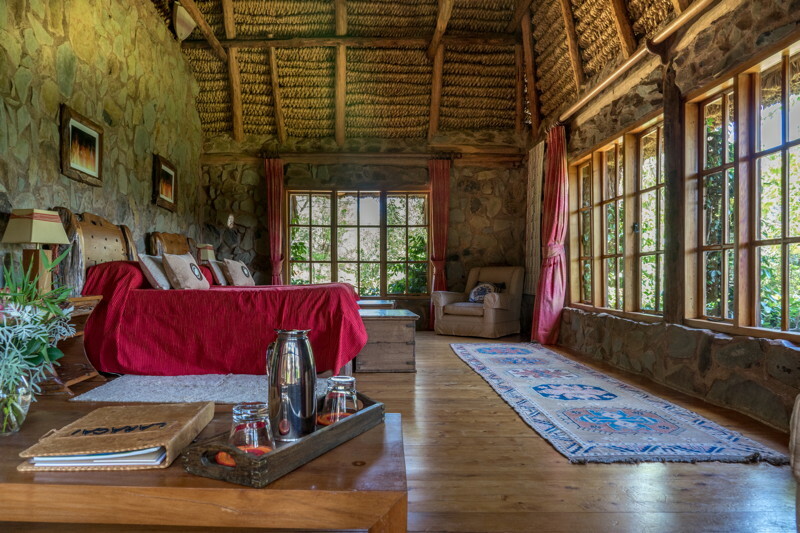 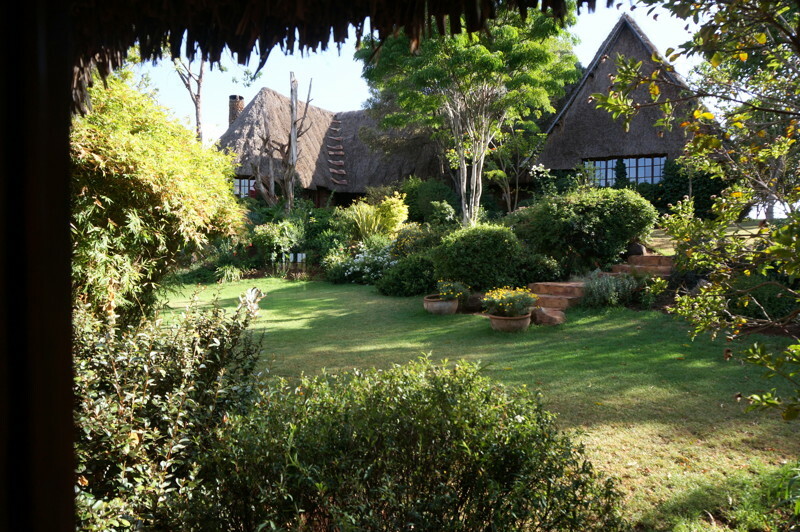 The sitting room is ‘African Baronial’ with a thatched roof, enormous fireplace and animal paintings. 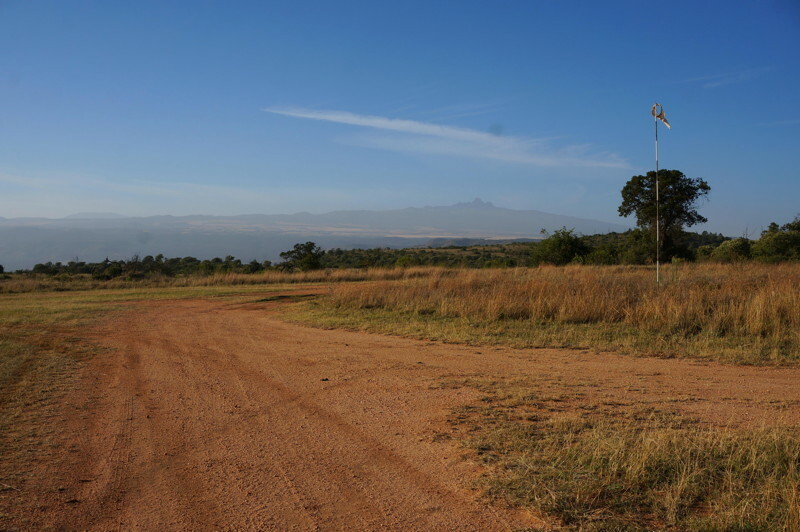 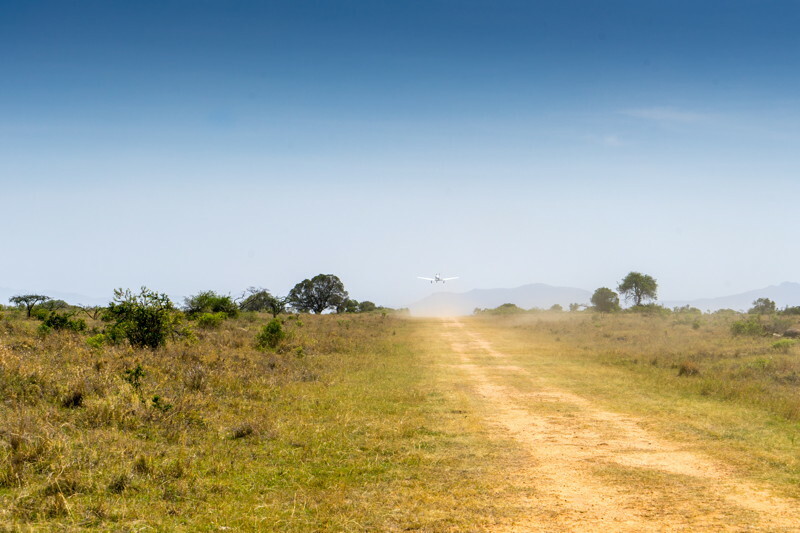 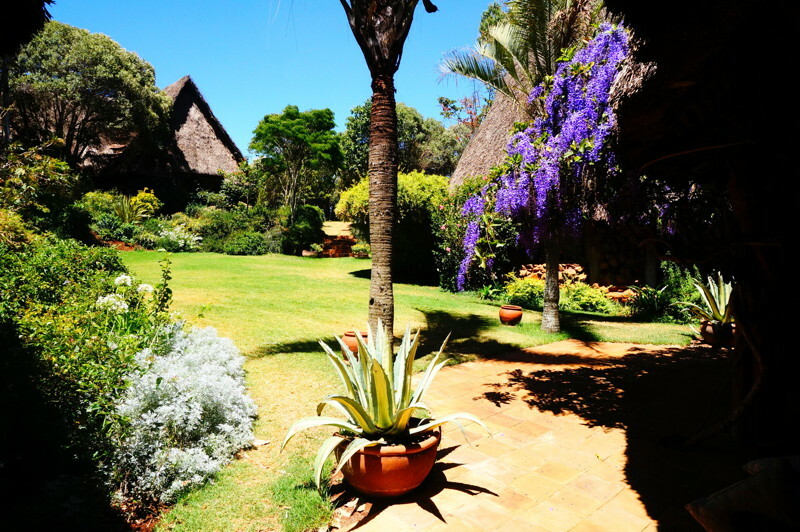 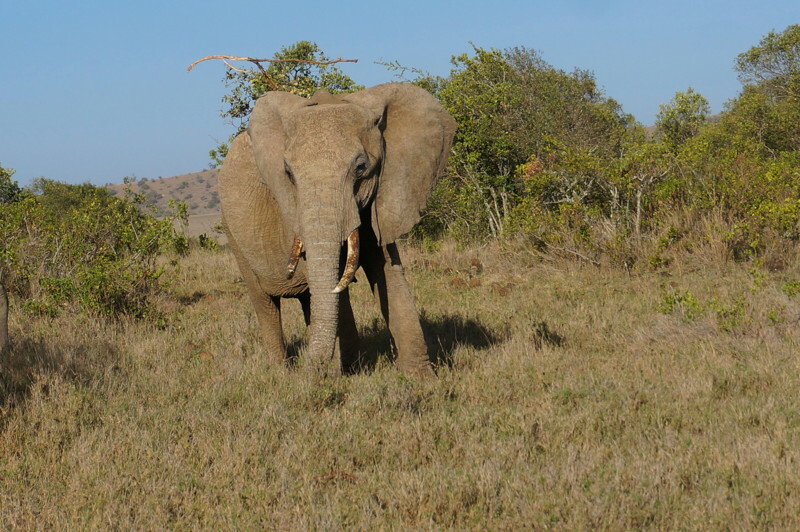 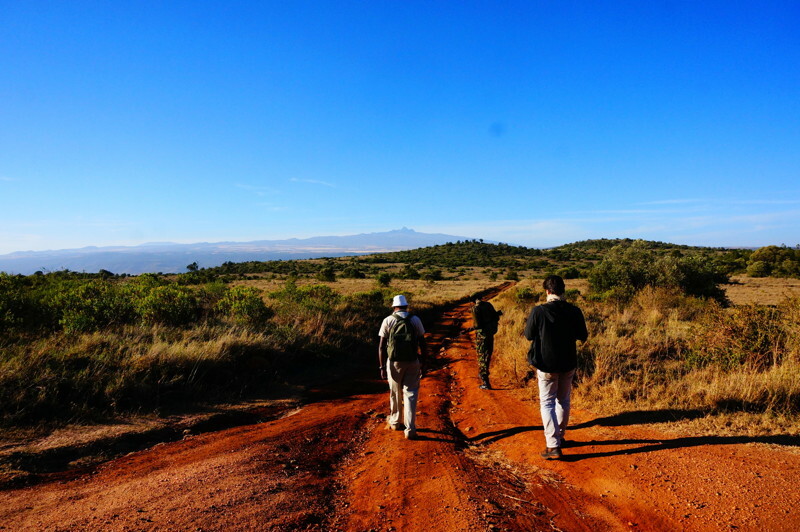 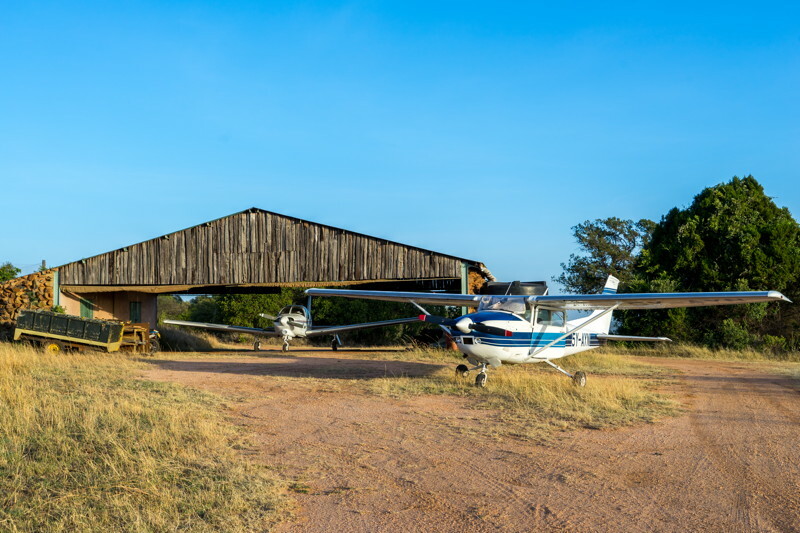 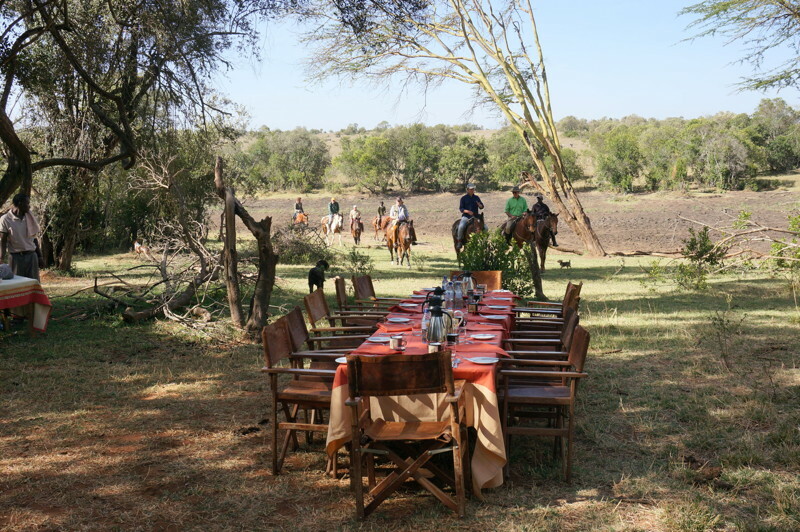 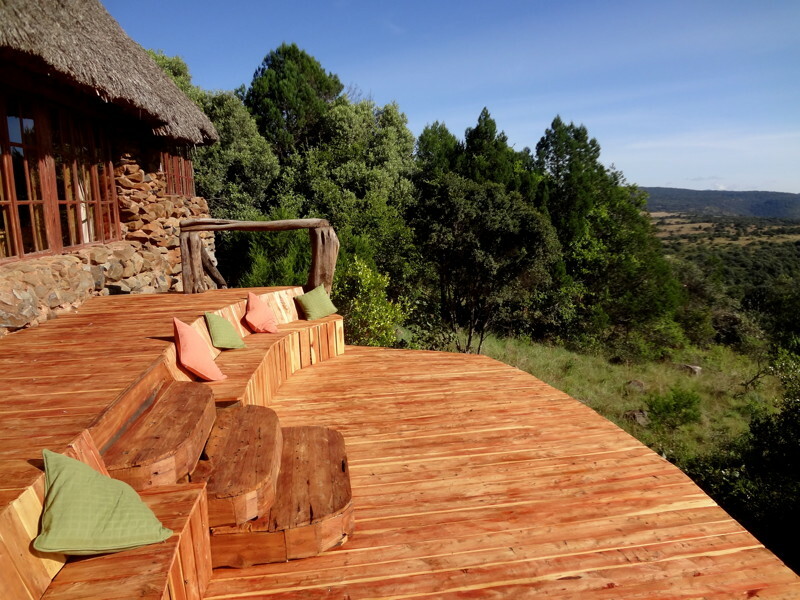 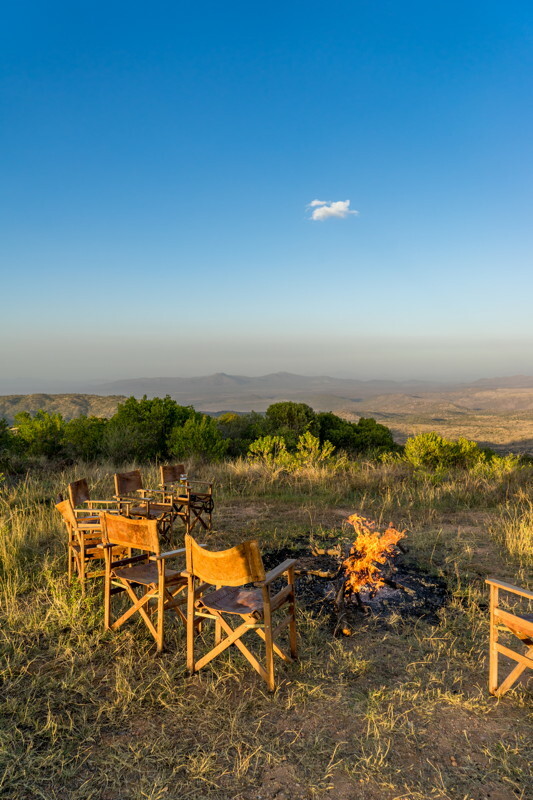 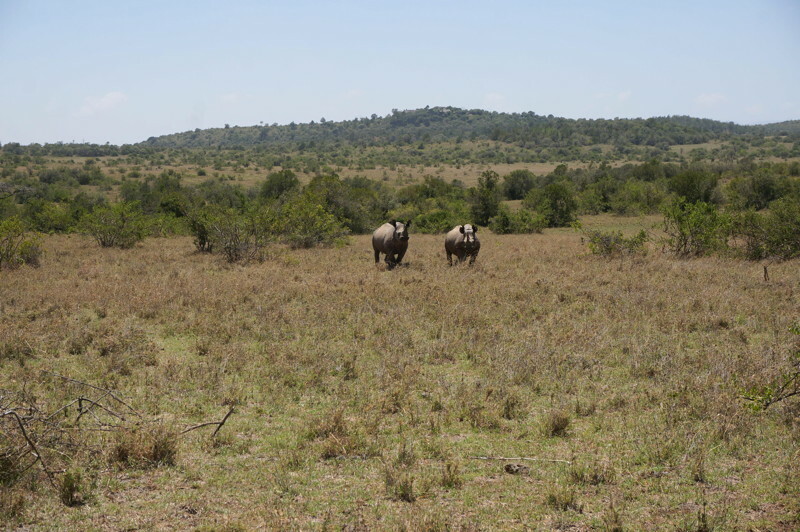 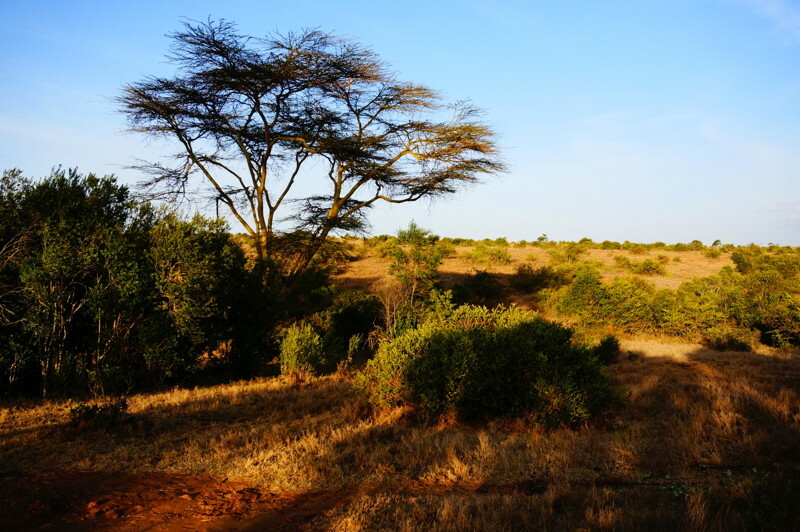 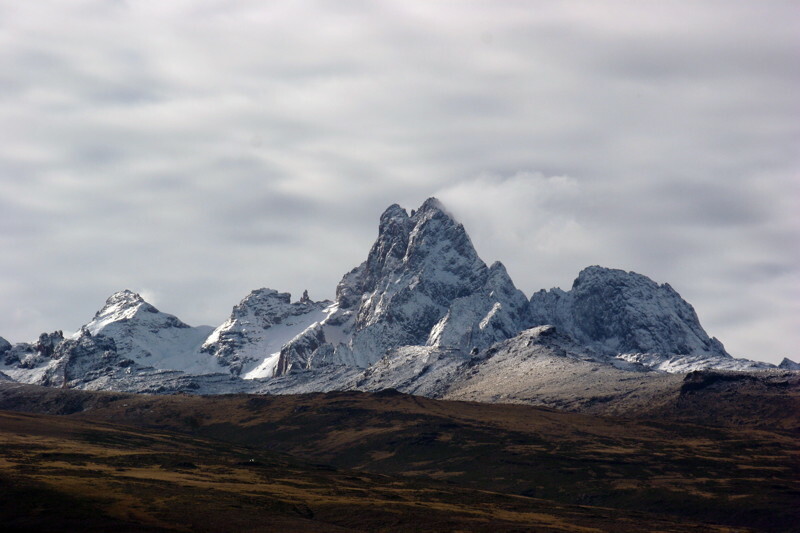 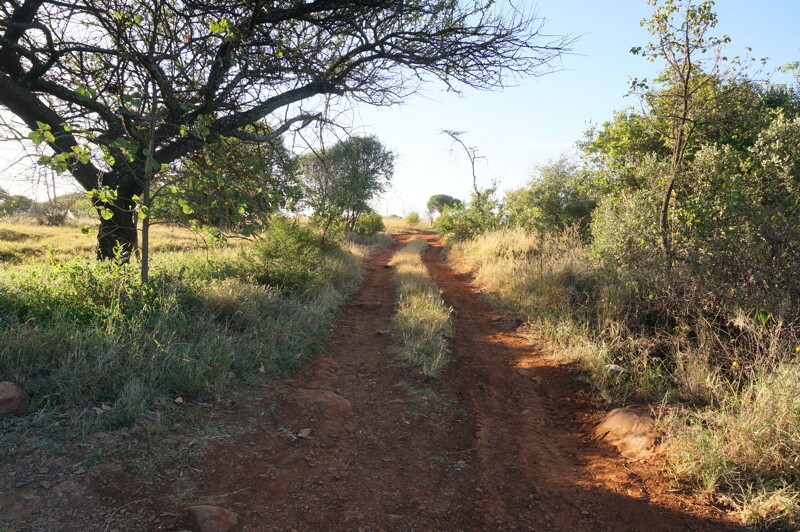 The views from the house are exceptional – Lolokwe and Wamba Mountains dominate the far horizons to the north and Mount Kenya looms out of the clouds to the south and three thousand feet below is Kenya’s Northern Frontier District. 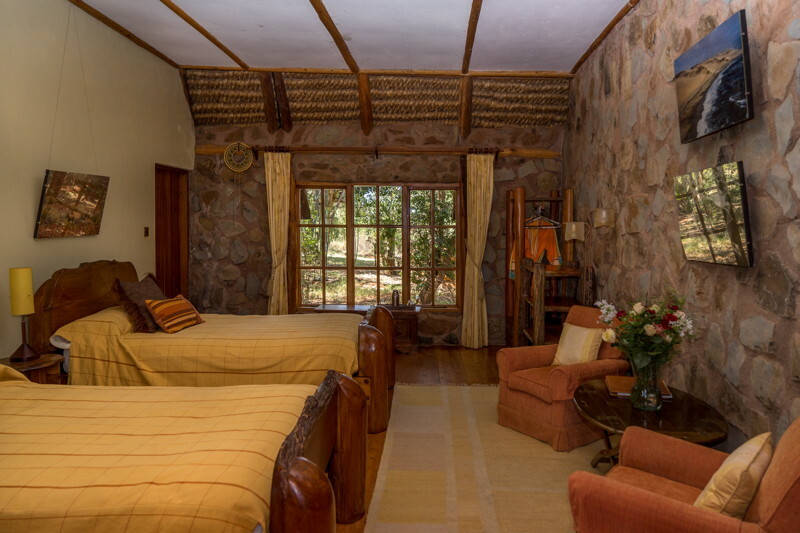 There is plenty of entertainment in the home, which has satellite television, an extensive DVD library and Wi-Fi Internet access throughout. 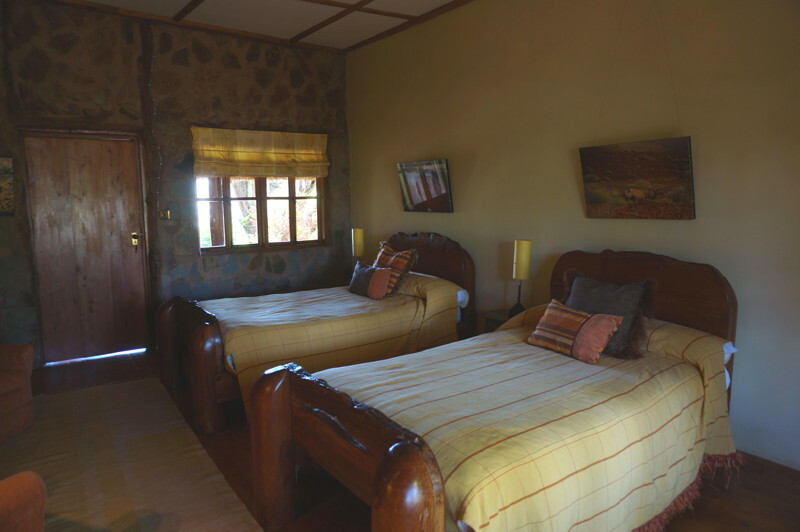 There is also a fantastic sound system with many CDs to choose from and, for musicians, a full size electronic keyboard that is wired into the amplifier. 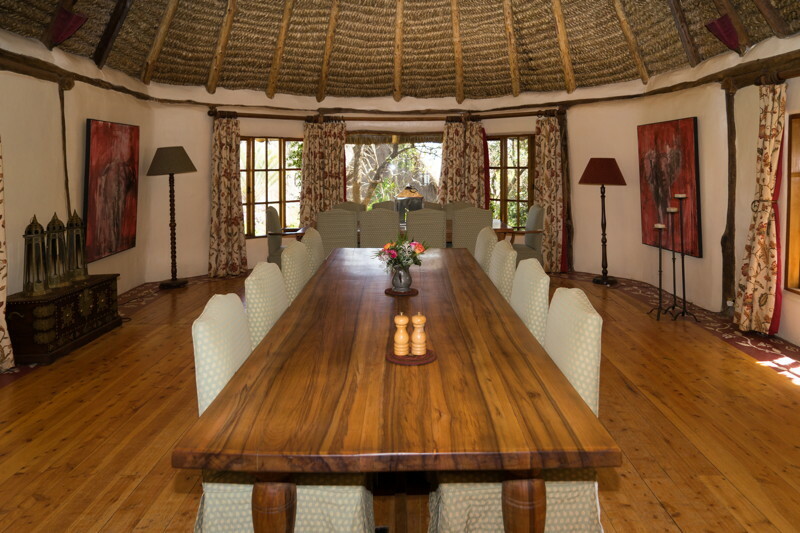 The extensive game room can keep the whole family entertained with table tennis, croquet and boules. 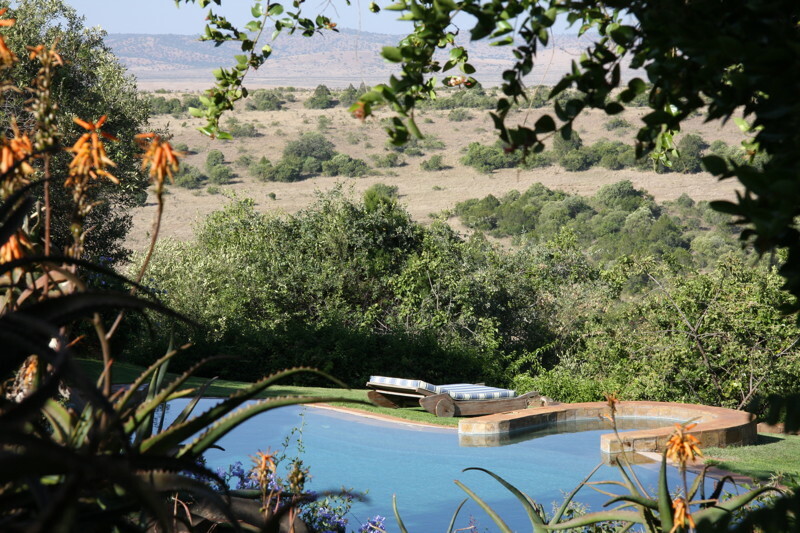 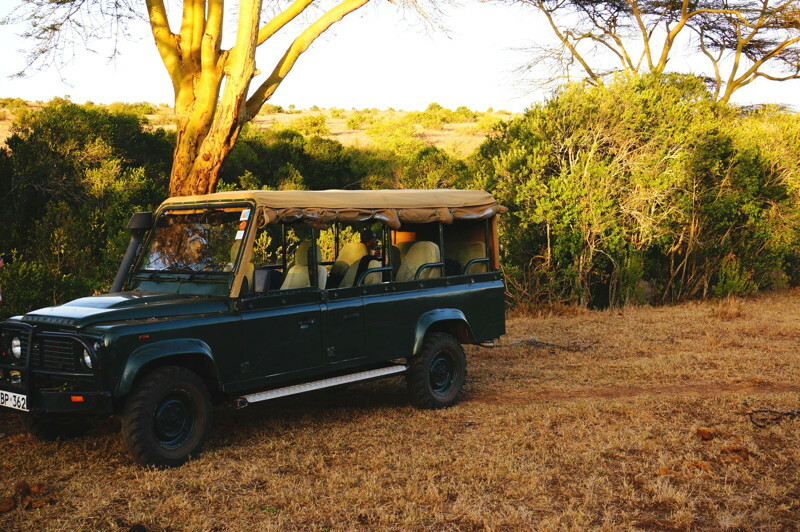 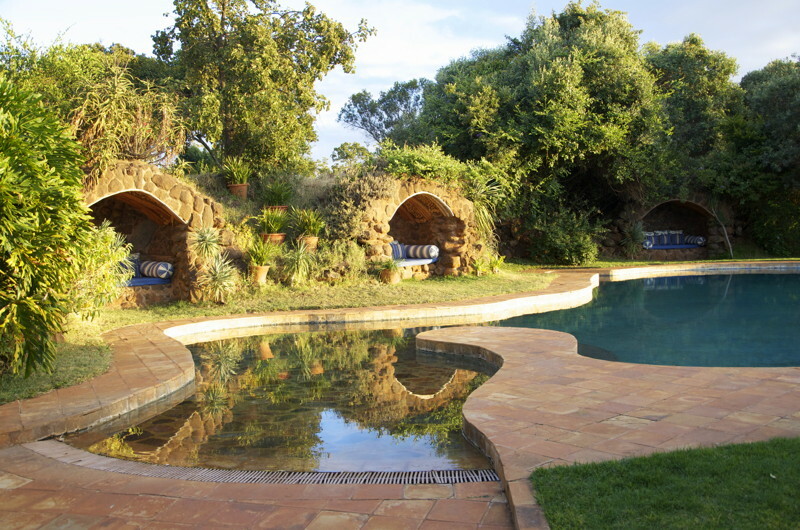 From the sheltered area around the heated swimming pool guests have a view across to the nearby ranch. 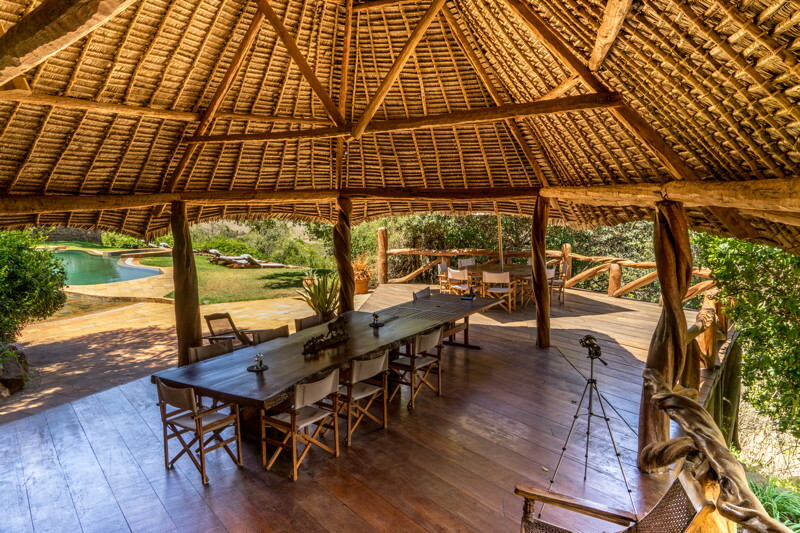 The pool house has a bar, kitchen and bathroom and is the perfect place for long lunches while the alcoves around the pool provided shaded retreats for an afternoon siesta. 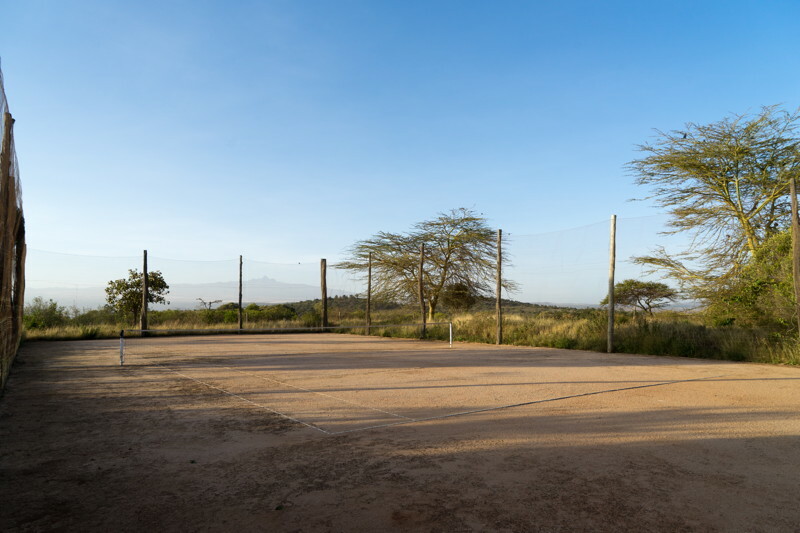 There is also a clay tennis court with racquets and balls provided. 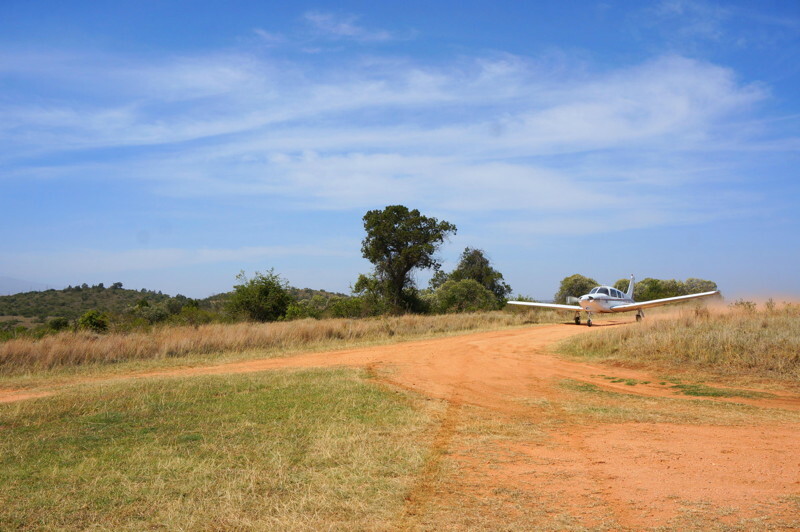 The property has a helicopter landing site.